Family Game Night is a tradition in many families. Who doesn't love getting together for some friendly competition (and crazy trash talking) over Monopoly, Scrabble, or Trivial Pursuit? 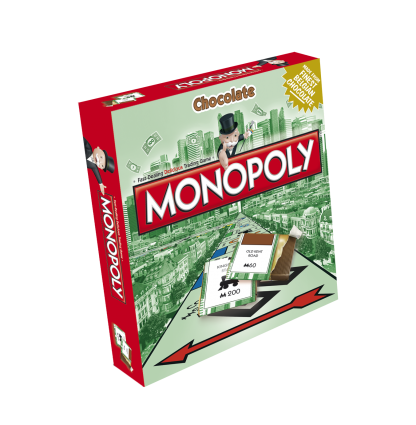 Now Gamesformotion has made Family Game Night even sweeter, with the introduction of chocolate versions of favorite board games! 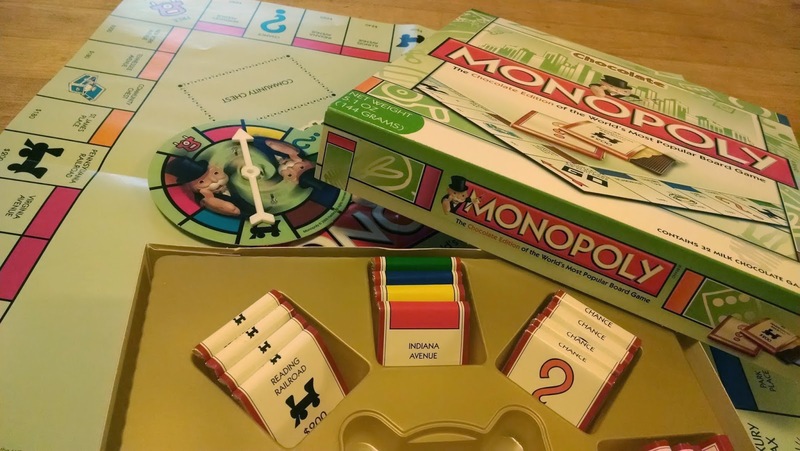 You can get chocolate versions of classic games like Candy Land, Clue, Monopoly, Uno, Trivial Pursuit, Guess Who, Trivial Pursuit, Pictionary, Battleship, checkers, and chess. There are also chocolate versions of memory games featuring Barbie, Mr. Potato Head, and Mr. Men, plus chocolate Poker and chocolate Santa Snakes and Ladders! In the chocolate versions, regular game pieces (like the word tiles in Scrabble, the number tiles in Uno, and the property deeds in Monopoly), are replaced with chocolate pieces, wrapped to look like the regular pieces! Some of the games, like Candy Land and Scrabble, also come with a chocolate prize for the winner. And it's not just any chocolate, either; it's good Belgian chocolate. Be forewarned, the chocolate games are not exact replicas of the regular games. 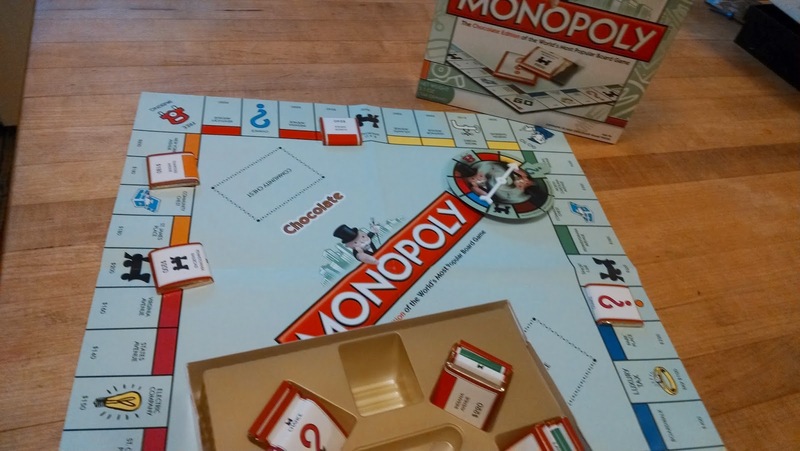 Take, for instance, the Chocolate Monopoly (pictured below). It doesn't come with dice, chance cards or classic tokens like the hat, dog, car, etc... Instead, it comes with a spinner and chocolate pieces wrapped to look like property deeds. Players take turns spinning, and take a chocolate property deed with the same color that their spin lands on. Once all properties of a particular color have been taken, the next player to spin that color wins all of the deeds of that color. And whenever a player's spin lands on the free parking spot, that player gets all the chocolates in the bank! So it works a lot more like Hi Ho Cherry Oh than actual Monopoly... but it's still a lot of fun. After all the properties have been claimed, the player who has the most chocolates wins -- but in reality, everyone is a winner because they get to eat all their chocolate! Now that's what I call a sweet win. The chocolate games are available at mass retail stores such as Target, CVS, at select SuperValu store locations, Kmart, Amazon.com, Meijer and Fred Meyer, Bed Bath & Beyond and select smaller distributors with retail prices starting at only $9.99. Frankly, I've had better chocolate, so I wouldn't buy these games thinking you're going to be doing some gourmet chocolate tasting. Also, this is a single use game only (in fact, the game boards are made of glossy paper instead of the usual sturdy carboard). But these games are a sweet twist on the regular Family Game Night, and a great way to shake things up if you've fallen into a game night rut. We certainly enjoyed playing with these games, as well as eating the spoils of victory! Buy them for your holiday gathering, and get ready for a fun time! 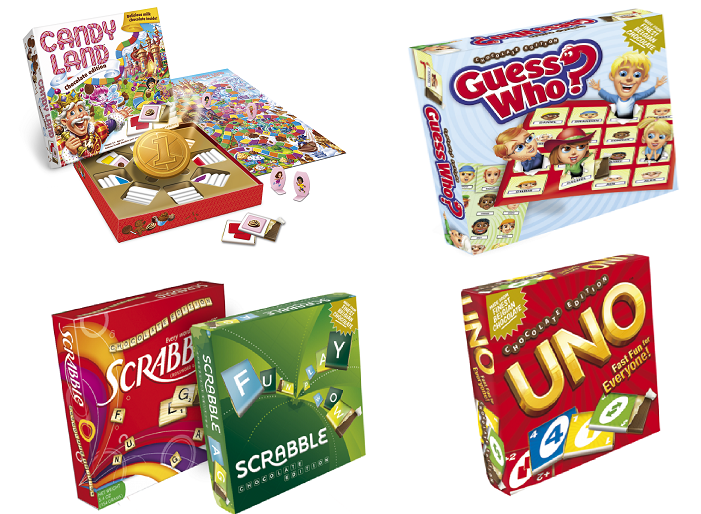 Gamesformotion's classic childhood board game favorites include Candy Land, Monopoly, Clue, Battleship and more, which exclusively feature game pieces that you can eat. All of the chocolate games have the same essential features as their famous counterparts, except that their cards and letter tiles have been replaced with the finest Belgian milk chocolate encased within printed wrappers. Rules for all of the games have been slightly modified by Gamesformotion to ensure they’re always fun and easy to play. Now instead of playing solely for the bragging rights of winning, in many of the games, you now win all of the chocolate that you could hope for in one sitting. Now that’s something to pass go for.